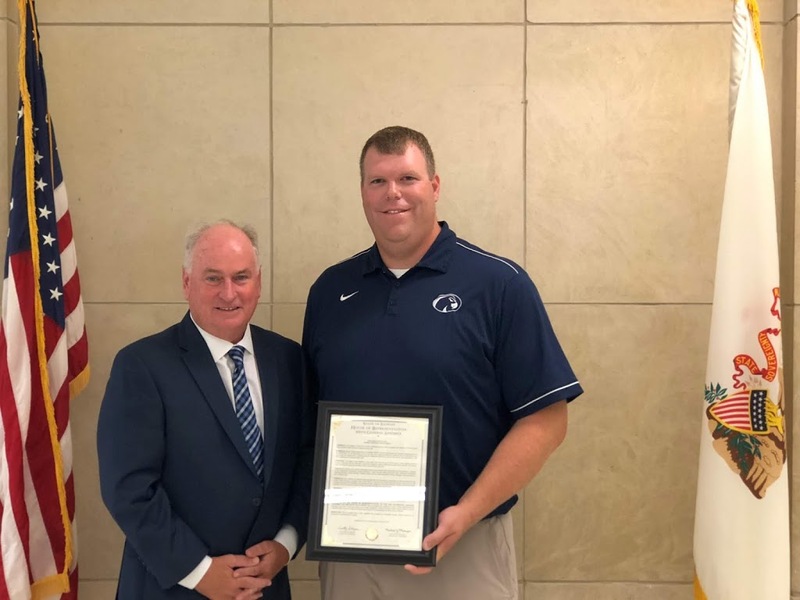 At a school-wide assembly, State Representative Dan Brady today presented Prairie Central High School students and faculty with a state House Resolution recognizing and thanking them for their ongoing project mapping local cemeteries. House Resolution 1133 was unanimously adopted by members of the Illinois House in May. “This ongoing project is a great gift to our communities, our history, and to future generations who will seek to know more about their ancestors resting in our local cemeteries,” Representative Brady said. Prairie Central High School geography teacher Andrew Quain began the cemetery mapping project in the fall of 2015 stressing that it was important to him to participate in a project that had lasting power; something that his “students could work on and see the results.” Students digitally plot the location of gravestones using GPS technology, and also perform geographic analysis and research individuals buried in the cemeteries. Once students are finished collecting data, the information is uploaded to create an interactive map online that, when complete, will allow users to search for the location of and information about graves in the cemeteries. “To date, students have mapped more than 13,000 gravestones across eight cemeteries in McLean and Livingston Counties. Our Resolution recognizes their hard work that will be so important to those researching their genealogy and family history,” Representative Brady concluded.